The dictionary defines complete as having all necessary parts, elements, or steps. 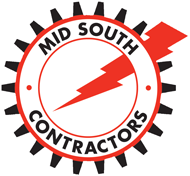 Mid South Contractors ULC meets that criterion to be your complete electrical contracting provider. We provide customers with complete systems and services from design and construction to installation, operations, maintenance, and service. The Complete Package. Mid South’s electrical contracting capabilities and skills include electrical design/build, construction, maintenance, repairs, testing, and much more. Our team is experienced in all facets of electrical construction from wiring, lighting, and power supplies to data and communication networks, substations and distribution, access control, fire alarms, and much more. 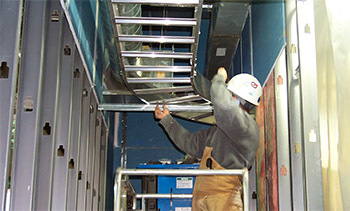 Mid South also provides specialized services including in-house engineering and in-house fabrication. Numerous projects, including Design/Build (D/B) and Design/Assist (D/A) ones, can benefit from our in-house engineering department that includes licensed Professional Engineers well as designers and engineers skilled and experienced in 3D modeling, CAD, BIM, and Revit. Need something special or out of the ordinary? Our in-house fabrication shop is one of the best. We can create a single customer piece or multiple ones for any electrical project. We also have an in-house panel shop to design, build, and fabricate electrical panels specific to our customer’s requirements.